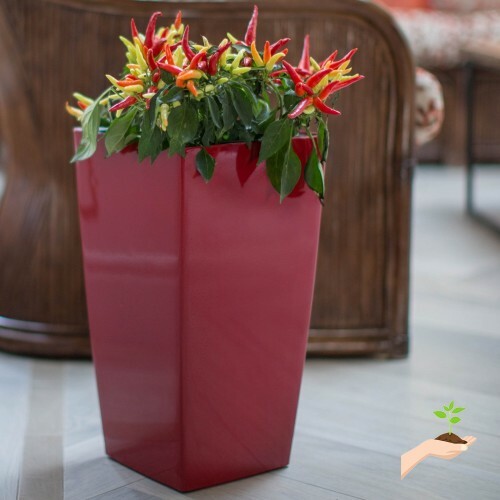 With or without that coveted green thumb the Algreen Self Watering Modena Square Planter will do its best to help you grow the healthiest and most robust plants around your home. 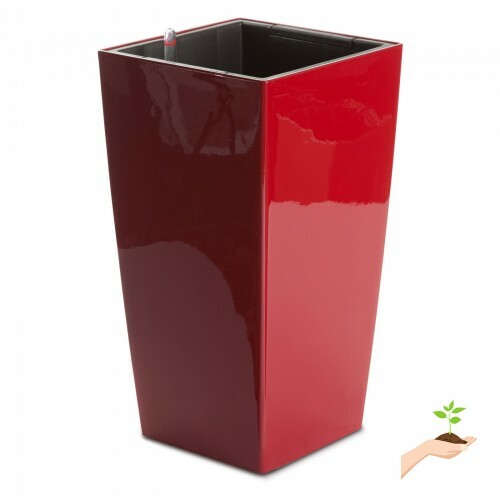 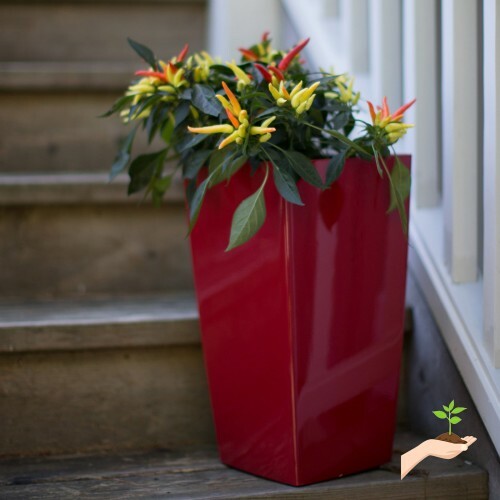 The planter is made from a resilient polymer and is available in your choice of size and color. 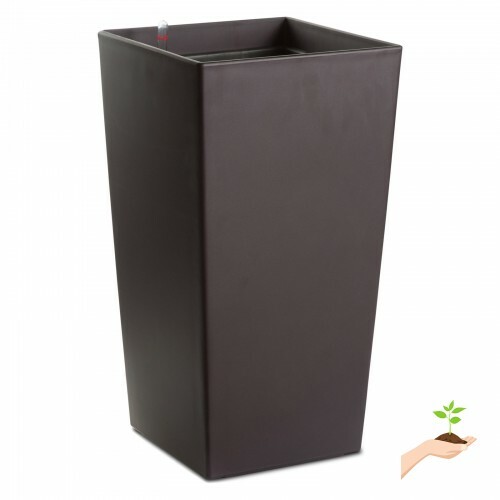 This planter gives Mother Nature a little boost with its large water reservoir that self-waters. 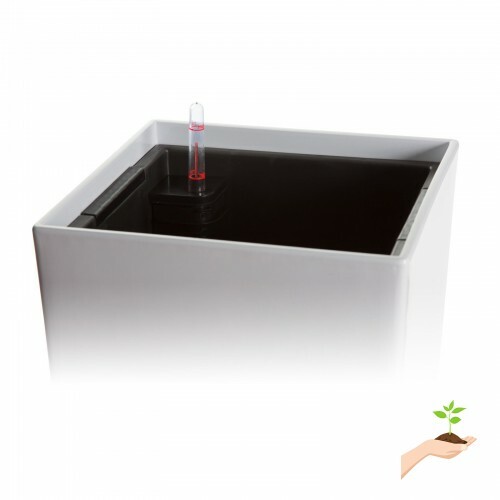 The water level indicator lets you know when to refill to prevent you from overwatering. 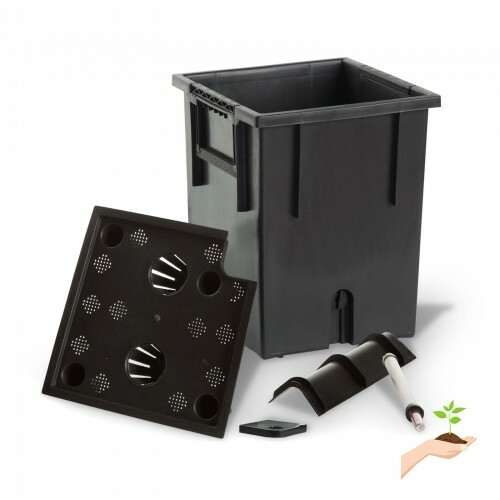 An easy-to-lift liner makes planting and replanting a breeze. Rolling caster wheels allow you to effortlessly move the planter to exactly where you want it. 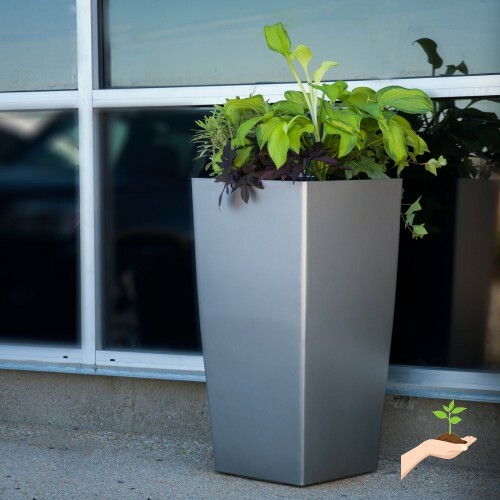 And don’t worry about the elements -- this planter is frost-resistant and UV-stabilized for optimum, long-lasting durability. 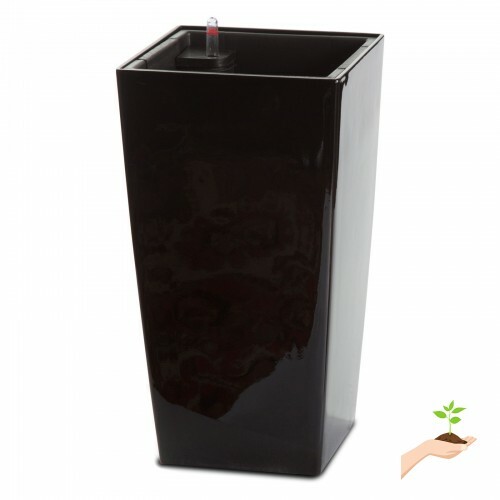 8.7L x 8.7W x 16.1H in. 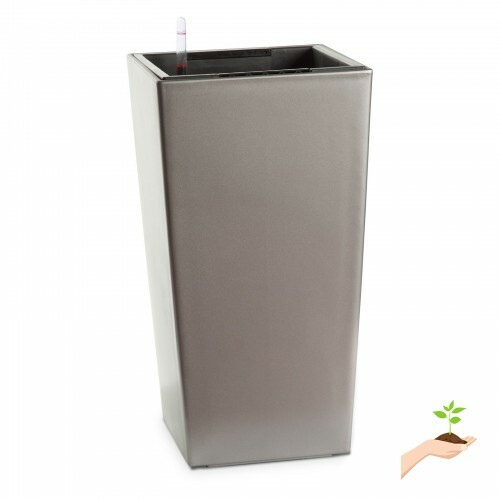 11L x 11W x 21.7H in. 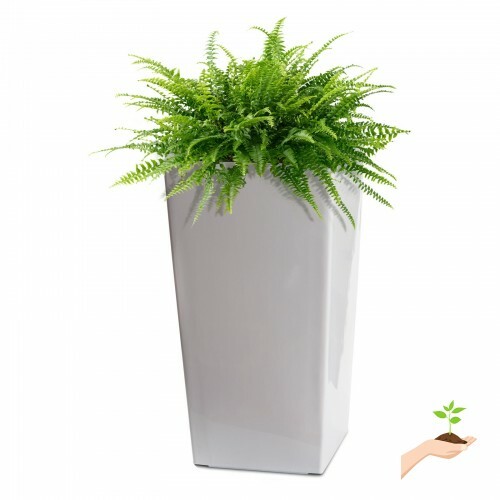 15.4L x 15.4W x 29.9H in.